Responsible pet care requires puppies to be given their initial course of vaccinations, but this cannot protect them for the rest of their lives. Adult dogs require regular vaccination to maintain immunity against disease. Our puppy schedule is vaccination at 6-8 weeks then a follow-up vaccination at 10-12 weeks. If your pup has already had a vaccine elsewhere, the 10-12 week vaccine may be sufficient but there may be an extra vaccine needed to complete the cover. The vaccine that we used is guaranteed by the manufacturer to provide cover for the following 12 months*, to the extent that they will help with any bills in the event the vaccine fails. Pups are generally able to go walking in parks and socialise with unknown dogs one week after vaccination. Annual visits are recommended, but dogs' vaccinations have changed- we now have the ability to give the DHP component (see below) every three years from the 15 month booster, rather than every year. Whilst your dog still needs an annual Kc vaccine and their annual health check, this means a reduction in vaccine use for your pet. Following vaccination your dog may be off-colour for a day or two, or have some slight swelling or tenderness at the injection site. However, if the response seems more severe, you should contact us for advice. Confused? Please give us a call to discuss a suitable vaccination regime for your pet puppy or dog. 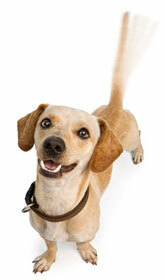 Affected dogs have a dry hacking cough which can persist for several weeks. It is distressing for pet dogs and their owners. It is a major problem for working and sporting dogs. Pneumonia can also be a consequence of infection. the vaccine confers a level of protection and reduces both signs and transmission of the disease. *For Distemper, Parvoivirus, and Hepatitis only.